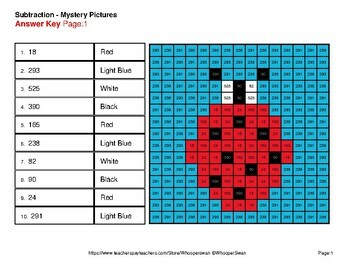 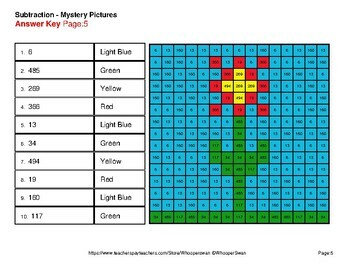 9 Mystery Pictures with 27 Worksheets. 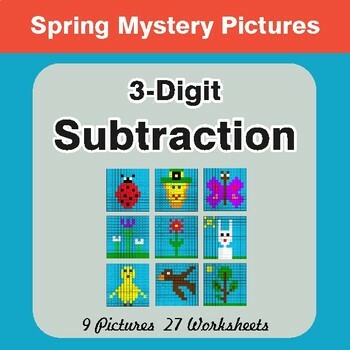 Each worksheet includes 10 unique problems. 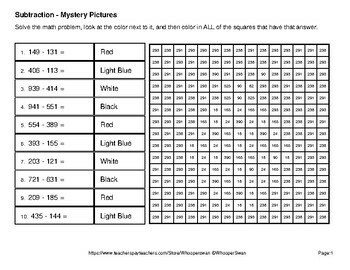 Directions: Solve the math problem, look at the color next to it, and then color in ALL of the squares that have that answer.